Last weekend, I went to the Mark Twain house! 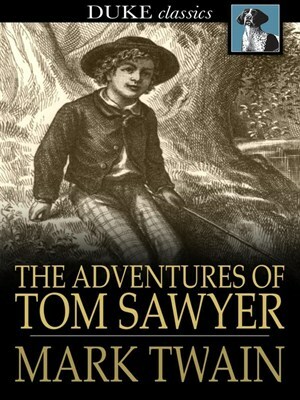 Mark Twain is a well known and beloved American writer. He wrote many books. 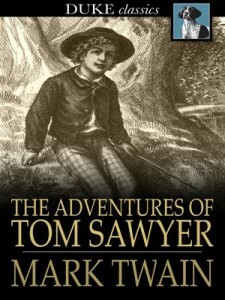 The Adventures of Tom Sawyer, The Adventures of Huckleberry Finn, and The Prince and the Pauper are some of his best known pieces. 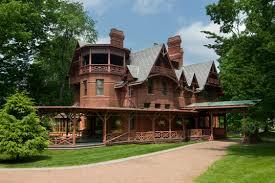 In 1871, Mark Twain (Samuel Clements) and his wife Olivia moved to Hartford. 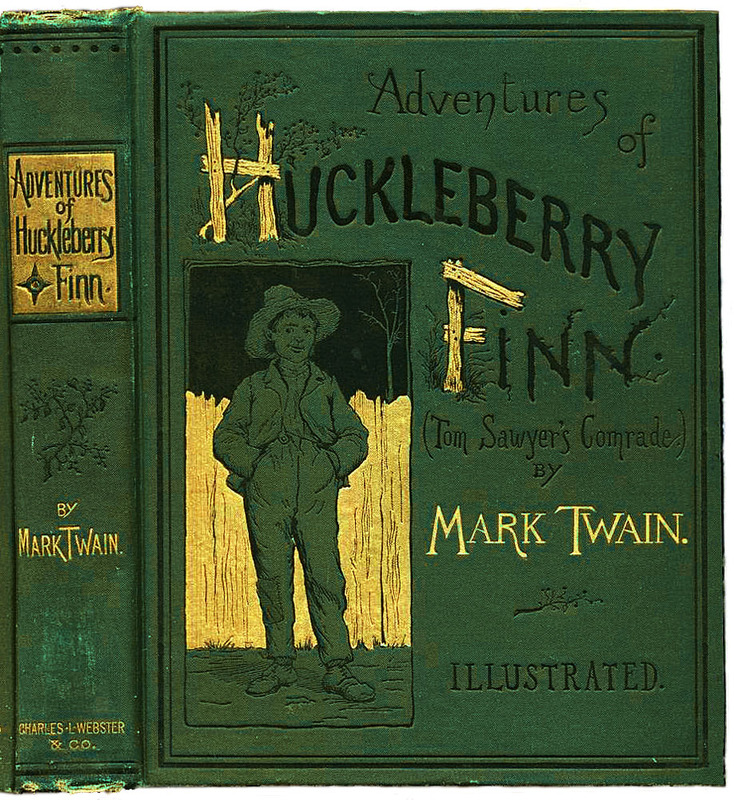 There Mark Twain enjoyed the happiest 17 years of his life. When I entered Mark Twain’s house, I knew why Mark Twain had said this home was “A Home – The Word Never Had So Much Meaning Before”. 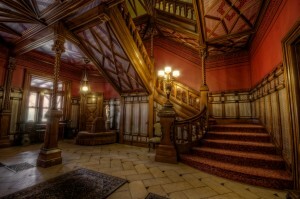 The walls of the entrance hall were decorated with triangular patterns and the lighting was dark. The hall was nicely furnished with two velvety chairs, and crystal chandeliers. 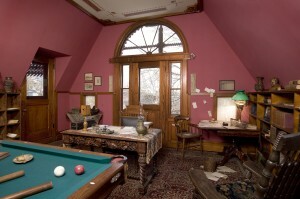 In the corner, there was a bust of our friend Mark Twain. 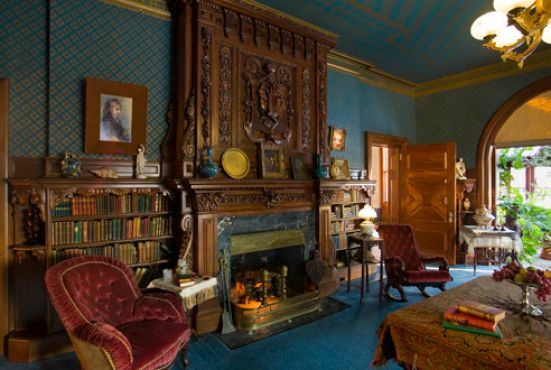 Mark Twain and his wife designed this house. I think the reason that Mark Twain made his entrance hall so beautiful was that when important guests came to visit, Mark Twain wanted to have a good first impression (very important). Next we walked into the dining room. The table was lined with eating utensils. There were also (fake) oysters on very interesting plates. The plates were turquoise colored and had little places where oysters could rest. In the center there was fake ice to keep the oysters cool. It was so nicely laid out! I could just imagine dining in such splendor. Every second that I was in this house, I wanted more and more to live there. After that, we went to the living room. There was a huge fireplace lined with pictures, and vases. 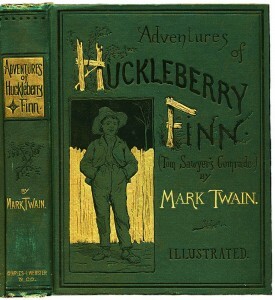 Mark Twain’s daughters made him tell a bedtime story every night using the objects on the mantlepiece. If he messed up, then he would have to start over again! He could not tell the same story twice! He would also have to say the objects in order. 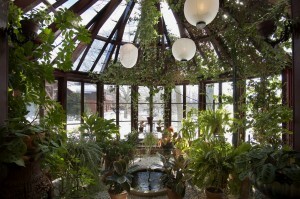 But the most amazing thing to me was a small greenhouse connected to the room, with a water fountain in the middle. 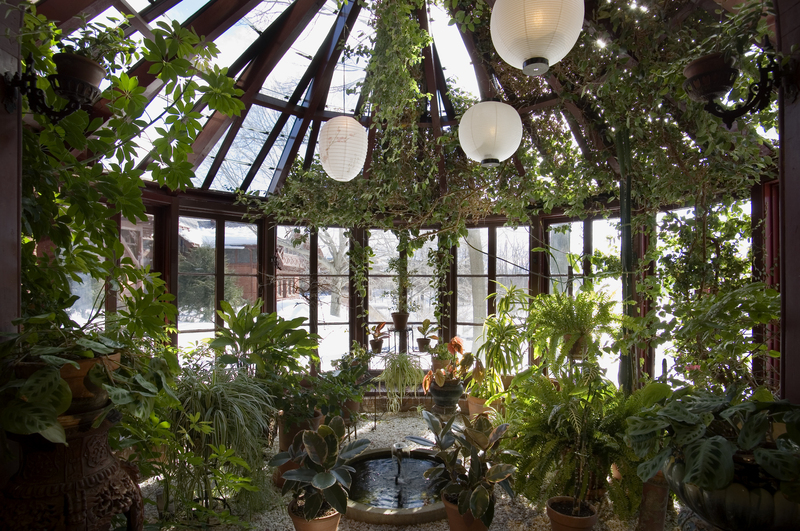 Mark Twain’s daughters would pretend the greenhouse was a jungle and they were animals! It added a nice touch to the room. In front of the fireplace, there were two rocking sofas. One was bigger (for Mark Twain) and the other one was smaller (for one of his daughters). His biography said his wife would sit in a big sofa, and read the pieces he wrote while the rest of the family would listen and express their opinions. I could just imagine that happened in this room! 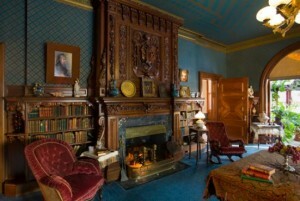 This room made me feel warm and cozy, as if there was a fire in the fireplace.